Understanding the ways in which human communities define themselves in relation to landscapes has been one of the crucial research questions in anthropology.Place and Identity in Classic Maya Narratives addresses this question in the context of the Classic Maya culture that thrived in the lowlands of the Yucatan peninsula and adjacent parts of Guatemala, Belize, and Western Honduras from 350 to 900 CE. The Classic Maya world of numerous polities, each with its own kings and gods, left a rich artistic and written legacy permeated by shared aesthetics and meaning. Alexandre Tokovinine explores the striking juxtaposition of similar cultural values and distinct political identities by looking at how identities were formed and maintained in relation to place, thus uncovering what Classic Maya landscapes were like in the words of the people who created and experienced them. 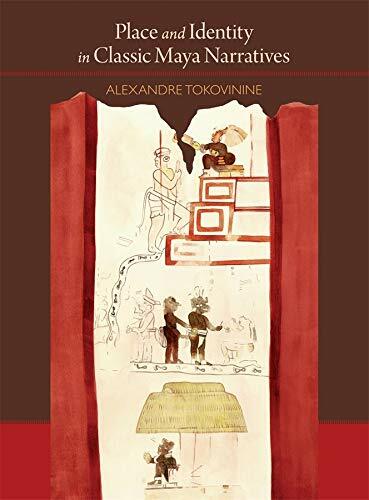 By subsequently examining the ways in which members of Classic Maya political communities placed themselves on these landscapes, Tokovinine attempts to discern Classic Maya notions of place and community as well as the relationship between place and identity. Alexandre Tokovinine is Research Associate at the Peabody Museum of Archaeology and Ethnology and a lecturer in the Department of Anthropology at Harvard University.